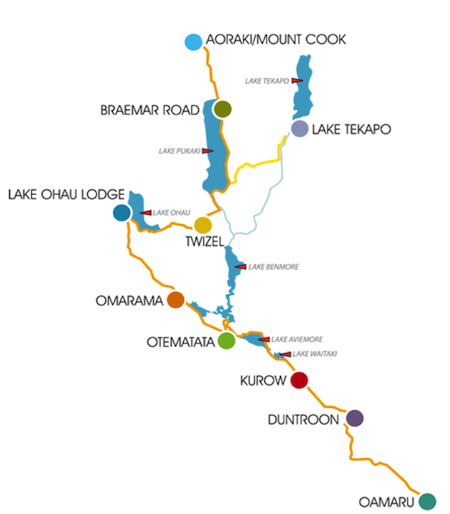 The world-famous Alps 2 Ocean trail is New Zealand’s longest continuous cycle trail. Starting from the Southern Alps it leads you on a journey through the South Island’s spectacular scenery to the historic coastal town of Oamaru. The cycle trail is divided into 8 sections, allowing you to break up your adventure as you wish. Each section has been graded to indicate the fitness and experience required.